Let me start: Here, in Hungary, those who were interested in the Ukrainian events could directly follow them mostly through the online media. There has certainly been a high level awareness on the developments in the public, many politicians and commentators have still been interested in them. However, mostly very simplistic interpretations dominated the public discussion, eg. it's clash between the pro-Europeans and the Russian-minded political elite, or it's a fight between the political opposition and the actual political establishment. May we ask you to explain the situation from you aspect? What has really happened in the last months in Ukraine? What were the main drives that motivated the various parties? First, it is important to understand that what happened in Ukraine was a rebellion of people against the tyrant and the regime which was based on corruption, criminal oligarchs, and deprivation of many of their private property, basic rights and civil liberties. What started as a mostly students’ rally to call the President Yanukovich to sign the EU-Ukraine association agreement, after November 30, when special police unit “Berkut” brutally dispersed Euromaidan, over the three cold months turned into an upraising, with a prime goal to make the President step down and have the whole system of power re-loaded. The political parties which represented an opposition to the ruling coalition of Party of the Regions and the Communists did not initiate the Euromaidan, were suspicious of it, and the “troika” of opposition leaders Yatsenyuk, Klichko, Tyagnibok – were desperately trying to win the sympathy of the people on Maidan, and to get a mandate to conduct negotiations with the government on their behalf. There was no “other” side in the popular rebellion, but the President and his government. The rulers tried to demonstrate popular support to their regime with the so-called Antimaidan, but it was evident that its participants were hired and forcefully made to come. And finally, it was not about East vs. West, EU versus Russia. People from all walks of life joined the Maidan, speaking Russian and Ukrainian alike, coming from all regions of Ukraine and from abroad, on weekends millions of protesters joined rallies in Kyiv and throughout Ukraine. The one thing that united them was not an aspiration to join the EU – but an understanding that they could no longer live under tyranny. "Many could see the photos on those who were fighting against the Berkut and other special units. They looked to be organized groups having experiences in street-fights. Am I right if I say that they were the radicals who gradually joined the Maidan people? But, why did they, eg. futball-fans or right-wing paramilitary groups join the protesters? Do these groups have any common interets with people of Maidan? Or, did they have other motivation from the very beginning? I don't know it, please explain it me!" There are indeed many photos and videos of such fighters, and what can shock you is the fact that they were paid by the government to create provocations, produce an image of violent protesters taking over a peaceful city and plotting to overthrow a legitimate government. Most of them are sportsmen and criminals, some of them were caught on the spot and they had police or SBU – Ukrainian secret service – IDs. There are videos of policemen changing clothes, receiving chains, baseball bats – and turning into such fighters. Early in the protest they were brought in buses to the Presidential Administration, escorted by road police and then after provoking violence were hiding behind special police unit Berkut – when it charged forward to mercilessly beat peaceful protesters and journalists. All having a stripe of a certain color on their hands or helmets, these organized groups were brought to Kyiv and other cities in Eastern Ukraine and employed by the authorities to create an atmosphere of terror, chaos, legitimate the use of force to disperse protesters, justify the regime’s brutality in the eyes of the international community. Later in the protest, when first victims fell dead, many army vets, football fans and ex-policemen said that they were coming to Maidan to protect the innocent, and I think they did save many lives on both sides. "It seems that the Maidan won, meaning that Janukovich and his establishment has had to flee from the country in the last days. But, what will come when these euphoric days pass? As far as I can see there are very serious problems that the new, pro-Maidan government must face. The country's bankruptcy is a real danger, the Chrimea is just before explosion as its Russian inhabitants protest against the new government, Ukraine has to find its way in a very controversial international environment where the Russian foreign policy will do everything to keep the country under its influence and so on and so forth... Could the new government effectively manage these challenges? Don't you think that the citizens await too much from the new goverment having had these three wonderful months?" Ukrainian people on Maidan has put forward a number of demands, and removal of Yanukovich from power was just the first one of several goals for which they stood in freezing cold, laying their lives in Kyiv and elsewhere. There is little euphoria, but a colossal grief and post-traumatic stress syndrome that many people feel in Ukraine, even those who were not victims of police brutality, torcher and mass shooting. The time bomb that the previous government has deployed and set into motion by resorting to violence has explosive components. Economic disaster is one of them, for sure. Unreformed economy, which after the end of the soviet rule was based on exploiting the natural resources and selling the remains of old industrial factories as scrap metal, tax exemptions and exclusive rights on state purchases (including the opportunity to steal up to 90 % of the money) for the oligarchs, corrupt system of education which produces graduates without knowledge and skills, and disastrous borrowing policy of the previous years – all contribute to the decreasing sovereign ratings of Ukraine. The “mistakes” – but actually the conscious policy to rob the country – of the previous government make the job for the newly appointed cabinet of ministers an extremely tough one. Taking into account the onmi-presence of corrupt schemes, and public servants at all levels, who would do everything to a) stay in power, b) sabotage changes to a more transparent and corruption-free system, 3) avoid justice for past crimes, I would say that the country is doomed. But I hope that Ukraine’s friends abroad, including the EU and the US will put aside some of the policy considerations – mostly having to do with unwillingness to spoil relations with Russia over its imperial aspirations. The last issue you’ve raised is management skills of the new government. I will comment in the words of Vaclav Havel, who said that it is better to have 5 years of mistakes than 50 years of sabotage. The only problem is that this interim “technical” government is not fully clean of former politicians and civil servants, who have proven in the past that they were unable to change the country for the better. Add to this some aspiring new faces, who became heroes of Maidan, but lack any experience required of a statesman. And I guess for many Ukrainians the biggest fear is not only their inability to secure that salaries, social benefits and pensions are paid in time, but their possible role in bringing a politician whose place should already be in history, to the top post in the country. That is why Maidan is not going away, and my hope is that people in Ukraine will start to be more demanding and vocal as for their expectations and satisfaction with the elected officials, who until recently felt as they were semi-gods. As far as I can see it, the pro-European emotions are still very strong within the people of the Maidan. 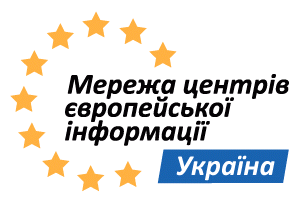 May the European integration be a real option for Ukraine? In my eyes the EU foreign policy was simply unable to meet the challenges raised by the last months' Ukrainian events, it couldn't influence the on-going events with special regard to the acts of Janukovich. Generally, it seems to me that the EU has no a precise partnership program to bring closer the East-European countries to the EU integration. Aren't you afraid that the European integration is nothing more than a simple illusion? The pro-European emotions largely died when Europe proved unable to adequately respond to the events in Kyiv, and was continuing to legitimize the tyrant by conducting negotiations, which time and time again were used by the regime to re-group and strike yet again with increasing brutality. Many Ukrainians repeated Victoria Nuland’s blasphemy regarding the EU. The Union’s problems were not only its bulky and inefficient CFSP and its Eastern Partnership in particular. The very foundations of at least some of the western societies, their reluctance to deal with corrupt foreign statesmen and money-laundering businesses, subordination to big transnational interests – all this added up with the join decision trap of a union of 28 member states. You can also mention the lack of understanding in western capitals, of an enigmatic “Donbass psyche” of the rulers in Kyiv. Even most brilliant diplomats would have major troubles trying to understand the modus operandi of a criminal mind of a persona, who served two times in jail for criminal offences in his youth. Returning to the Eastern Partnership countries, my hope is that these countries would work together to gradually share the best practices of transformations – such as the police reform in Georgia – and use more efficiently the assistance offered by the EU and its member-states. For the Union, apparently, it is a moral obligation now, to recognize the heroism of Ukrainians, Euromaidan’s uniqueness in the history of European idea (never before did a 2-million people rally gather to support the European values and proclaim the nation’s European choice). I, therefore, welcome the European Parliament’s resolution, recognizing Ukraine’s future membership perspective. "You're a resident of Donetsk. What's the situtation in Donetsk actually? Do the citizens, irrespective of their Ukrainian or Russian origin, support the new government? If so, what are teir main motives? Can you somehow better feel the closeness of Russia then beforehand?" Situation in Donetsk is complicated now. Local authorities in their attempts to disperse the local Euromaidan and to prevent the residents of Donbass from joining the protests, brought to the streets several thousands of criminals, sportsmen, other groups of people armed with baseball bats and metal sticks who terrorized the city, assaulting journalists and civil activists and sometimes beating each other (due to lack of coordination). As the political situation changed, the local Party of the Regions – which previously called for more violence, separatism, and shares the responsibility for mass murder in Kyiv – tries to portray themselves as guarantors of “stability”, but the radicals who they raised and allowed to the streets, are now attempting to take over power – on the slogans of splitting from the “fascist” Ukraine and joining “Mother Russia”. Seeing all this, and especially the role of Russia in the events in Krym, I think many citizens of Ukraine became disillusioned and very disappointed with Kremlin. Thus, I think, that regardless of further political reconciliation between two states, people-to-people relations have suffered from Russia’s official policy to undermine Ukraine’s sovereignty, destroy its economy and prevent its profound societal change and future development into a modern European nation.